AUTOMATIC CLOSURE: Magnetic closure system allows convenient hands-free entry and exit. 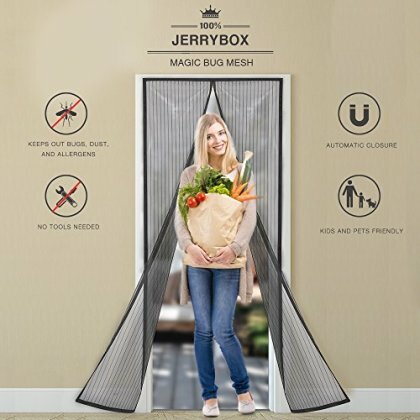 Children and pets can also pass through the mesh easily. 5.PERFECTLY FITS 36" DOORS: Dimension is of 36" × 83"; the screen door fits perfectly with standard single doors of 36"